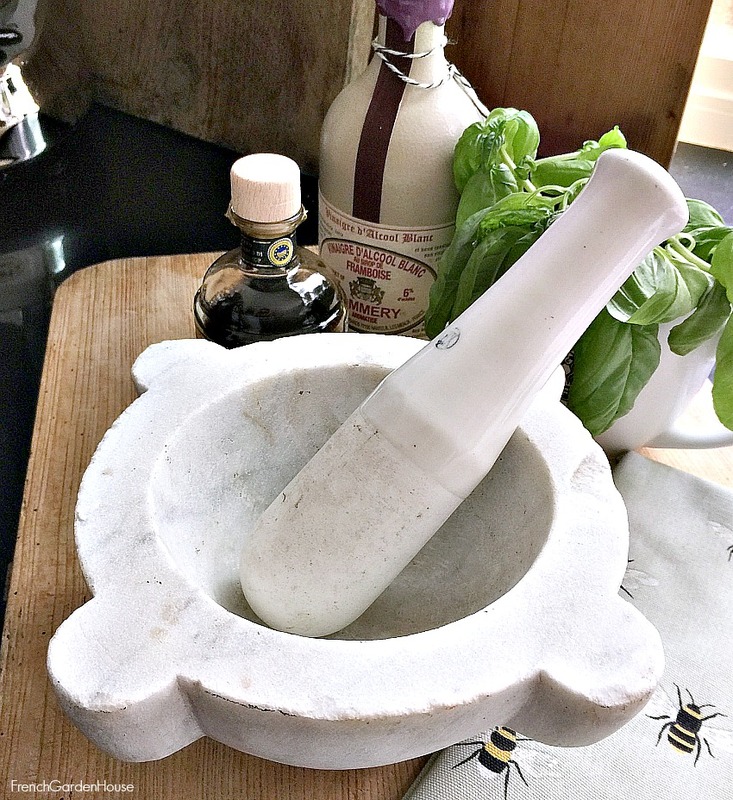 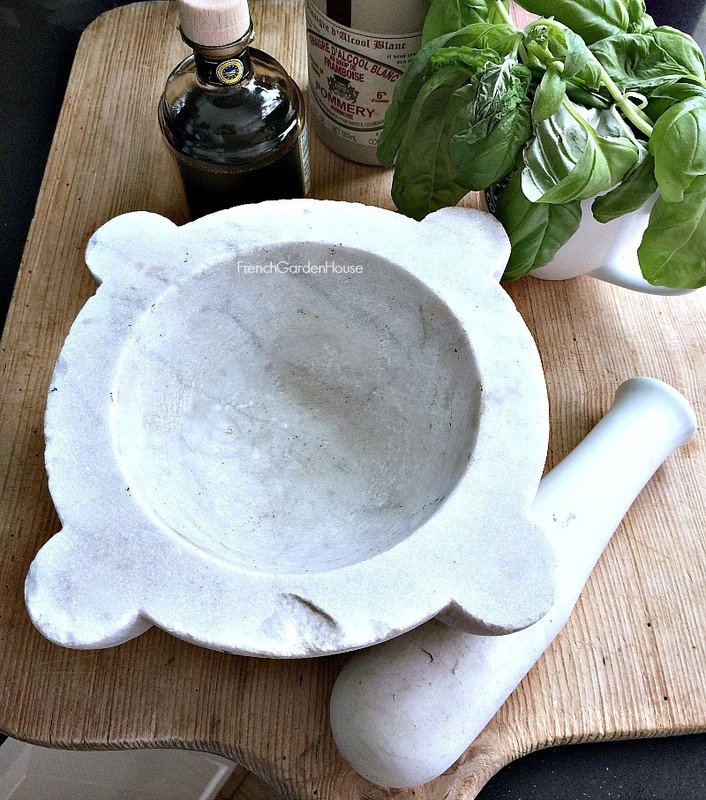 Wonderful Antique French Marble Mortar and Pestle, from a French Pharmacy where this beauty stood on the counter as display. 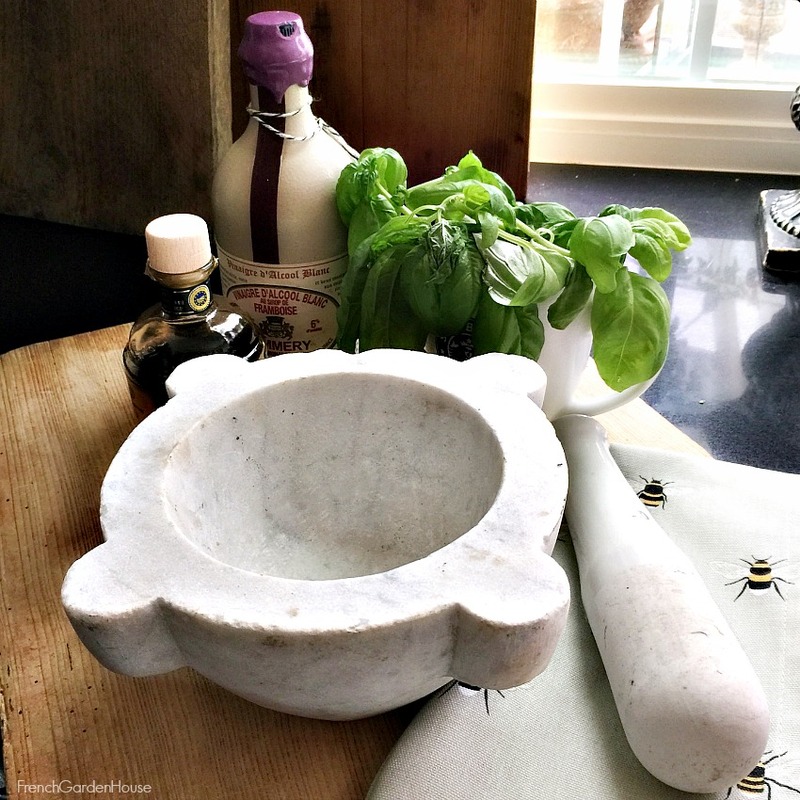 It is so rare to find a decorative classic mortar and its pestle! 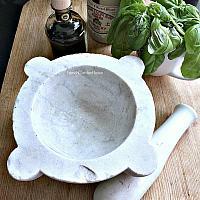 From the late 1800's - very early 1900's, traditional timeless design with four lug handles. 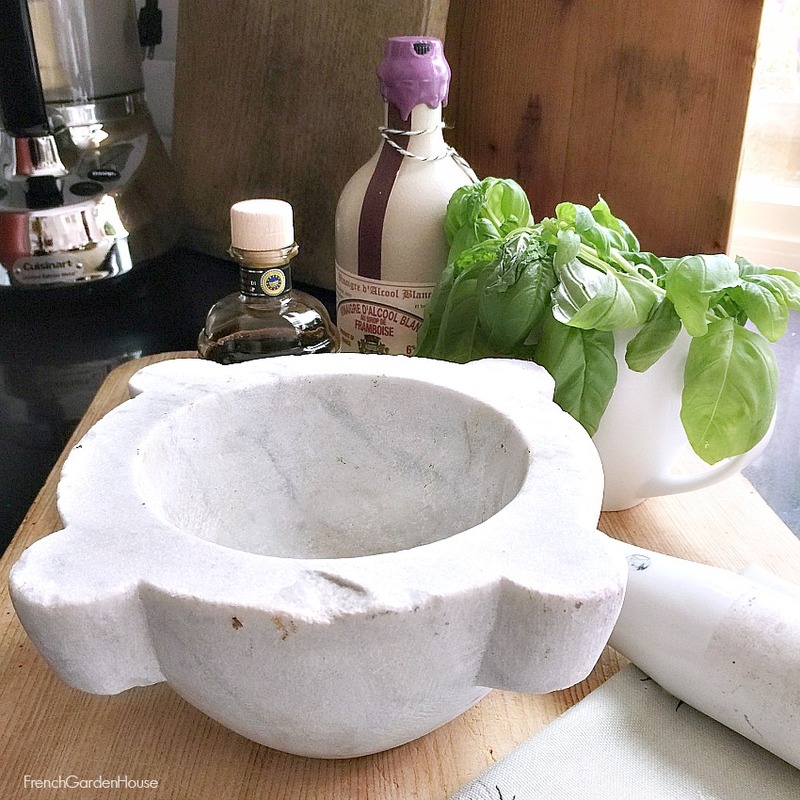 Hand cut from marble, with a slight sparkle, this is a usable antique, collectors love to display and use these in their kitchen these days. Very heavy, sourced in a village in the French countryside, this piece has chips and darkening towards the bottom. 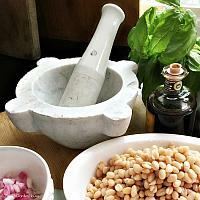 The pestle is porcelain, with a glazed handle. Fabulous find for your cuisine, to use with your home grown herbs! 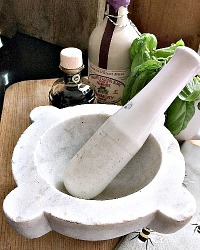 Measures 8-3/4" x 8-3/4" x 4"h.